Norwich Historical Society – What is Modern Design? 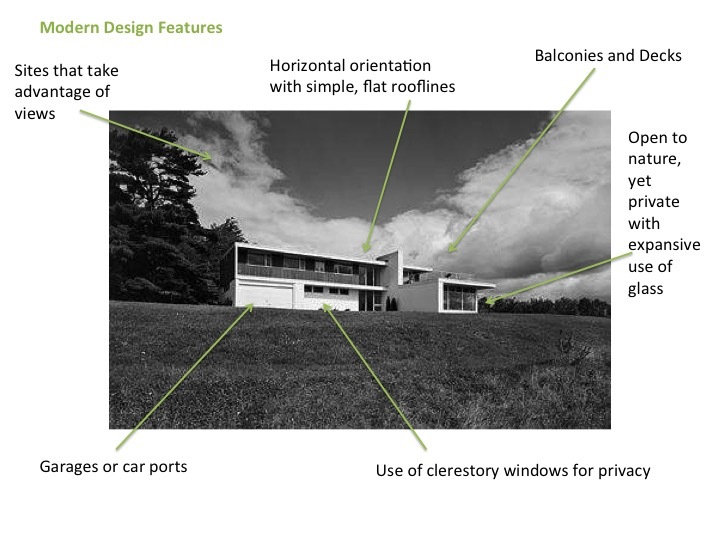 The development of modern architecture in the 1920s grew from an interest in new materials and a rejection of past styles. It was a style that promoted interactions with the social and natural worlds. Low-to-the-ground design extended the houses into the garden. New steel and concrete frames revolutionized building interiors, allowing for open, flowing rooms and glass curtain walls. Radiant floor heating and passive solar brought new energy efficiencies. There was a shift to the backyard patio and away from the front porch.